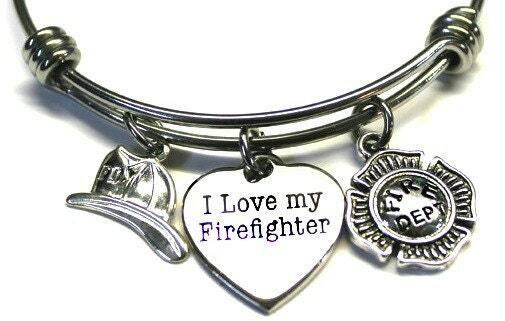 The I love my firefighter charm is stainless steel. The firefighter helmet charm is sterling silver. The firefighter shield charm is lead free pewter.